This guideline has been written by our practitioner Sarah Beesley (MHD Hons) to provide a comprehensive approach. The best result is gained when the whole guideline is followed. Please be aware that results may vary and that if you have any other pre-exisiting conditions, we advise working with a trained practitioner. The following information is not intended to diagnose any condition or to replace the advice of your doctor. Heavy metal detoxification is something which needs to be approached with caution and the best protective measures in place. For anyone who suspects they have a metal toxicity, our first piece of advice to them would be to get the right testing done and to find a practitioner who can help them chelate the metals out of their body WITHOUT using standard chelation methods. 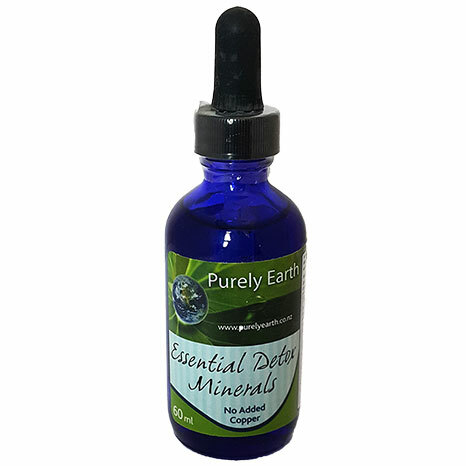 With the right knowledge and the right test information it is possible to remove metals by providing the body with the correct balance of minerals and supporting nutrients. This is an area that our practitioner Sarah specialises in. It is a safer and kinder way of working and can also achieve results surprisingly fast. The following guideline is a step-by-step process to get you started. We recommend that you do not get hooked into Dr. Google, but that you work with a knowledgeable practitioner like Sarah when undergoing a detoxification of this type. We recommend that you get a Metal and Mineral Test done. Most Metal and Mineral tests come with a generic lab report which is fairly basic and not personalised. Our Metal and Mineral Test comes with a complete treatment outline written by our practitioner Sarah and includes 20 pages of detailed, personalised information focused on removing metals through nutritional balancing. Make sure your detoxification system is able to do the job you need it do. This can be assessed through the right functional testing. If getting a test done elsewhere, ask whether the practitioner knows how to chelate by using nutrition and mineral balancing techniques. If they primarily use EDTA or DMSA or any of the standard methods of chelation, we advise you look elsewhere. We recommend starting with a bath every 2-3 days to start. These can be increased after the first 2 weeks to alternate days or daily if desired. 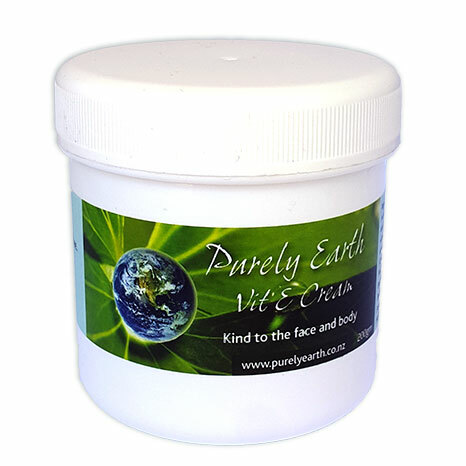 Follow with Purely Earth Vitamin E Cream on any skin surfaces that are prone to dryness or damage. This is a non-chemical natural cream that nourishes and feeds the skin and will help to soothe and heal any stressed areas of the skin surface. We recommend drinking Endura Electrolytes while in the bath to replace any electrolyte minerals that are removed during the bath process. If dizziness is experienced during or after the bath, lower the bath temperature to a comfortable level and make sure you use the electrolytes. 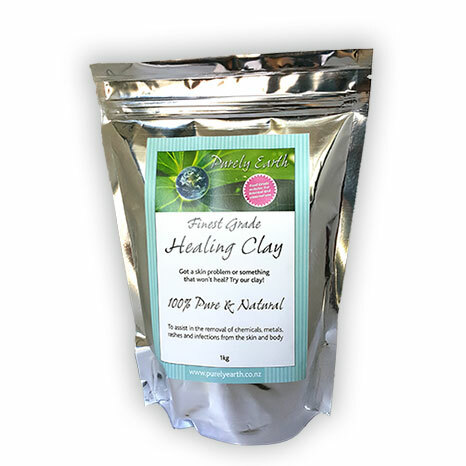 For adults, using clay internally can be tremendously helpful too, as it helps to remove some of the toxin load internally. Any good detox program should ensure your body has the tools to carry out the work you are going to ask it to do. Moving metals and toxins is not child’s play and if you try this on an under-nourished system with a digestive system and eliminative function that is not working well, you will get tired and sick. Detoxification takes nutrients and energy. The following two sections provide information on the most basic support. The rest of the information should come from a skilled practitioner and through getting the correct form of testing done. Ensure you are passing bowel motions every day. Remove as many chemical products/exposures from your lifestyle as you can. Address any signs of weak digestion such as reflux, bloating, gas and indigestion. Good stomach function is necessary for the pancreas and liver to get the right message. If stomach function is weak, it will hinder the production of bile which will slow the clearance of toxins through the liver. Improving the stomach function can be done by using Betaine HCL or 1 tsp of apple cider vinegar (ACV) in water before each meal and increases the uptake of minerals through the digestive system. For those with a history of ulcers or who are using antacid medications, we recommend an appointment with Sarah before you try Betaine. Make sure you drink adequate filtered water. Your body needs this to make digestive juices and to clear acidic wastes. You MUST ensure your glands are working well. Detoxification takes energy and resources. We advise you work with a knowledgeable practitioner to strengthen your glands if you have any thyroid or adrenal related issues before you undertake any serious detoxification work. Use high antioxidant super foods. Have a look at our Medicine Chest Smoothie for a wonderful detoxification booster. Eat lots of green and colourful vegetables and a good quality protein food at least 2 times a day. We do not recommend protein-deficient diets because protein is an essential nutrient required for repair, digestion and detoxification. If you choose to go vegetarian, get some good advice about how to get adequate protein. The World Health Organisation Standard is 1 gm of protein value per kilo of body weight. This means a 60 kg person requires around of 60 gm of protein value per day in their diet. A palm size piece of fish for example, contains around 25 gm of protein content. Avoid food that comes in packets. Eat food that is as close to its natural form as possible. This means it contains more nutrients and less added toxins and is a better resource base for your body to use.